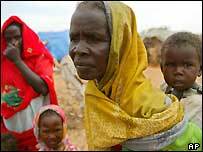 BBC NEWS | Africa | Who are Sudan's Darfur rebels? Who are Sudan's Darfur rebels? The two groups fighting in Sudan's Darfur region - the Justice for Equality Movement (Jem) and the larger Sudan Liberation Army (SLA) - have very different ideological backgrounds. The SLA has its roots in unrest that began in Darfur 17 years ago. In 1987 after a devastating famine, an Arab alliance was established, with official encouragement, to oppose the African farming communities of the Fur, Zagawa and Masalit. The government quietly armed the Arabs, while at the same time disarming the Africans. The SLA drew their first recruits from Fur self-defence militia that arose as the conflict of 1987 - 1989 spread. The Zagawa joined the militia after the government failed to enforce the terms of a peace agreement requiring Arab nomads to pay blood money for the Zagawa they had killed, including prominent tribal leaders. 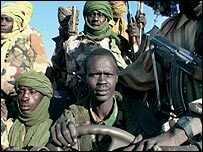 In February 2003 the SLA launched attacks on government positions in Darfur. SLA Secretary-General Minni Arkou Minnawi published a political declaration calling for armed struggle, accusing the government of ignoring Darfur. "The objective of the SLA is to create a united democratic Sudan. "Sudan's unity must therefore ultimately be based on the right to self-determination and the free will of the various peoples of Sudan... on an economy and a political system that address the uneven development and marginalisation that have plagued the country since independence," it said. The group has since split between Mr Minnawi, a Zagawa former English teacher, who controls the largest number of fighters on the ground and those loyal to Abdelwahid Muhamed El Nur, an ethnic Fur. The origins of the Jem are rather different. In 1989 President Omar al-Bashir overthrew the government of Sadeq al-Mahdi. The coup was backed by the National Islamic Front of Islamist leader Hassan al-Turabi. 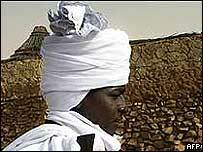 Mr Turabi became the leading ideologue of the new government and was seen as the power behind the throne. In 1991 he organised an Arab Popular and Islamic Conference and became its secretary-general. From this platform Mr Turabi went out of his way to offer African Muslims from peripheral regions of Sudan, like Darfur, a means of obtaining a share of power. He recruited them into his movement, and gave them some prominence. In 1999 Mr Turabi was involved in a showdown with President al-Bashir, when he introduced a bill into the national assembly reducing the powers of the presidency. Mr Bashir reacted by dissolving the assembly and declaring a state of emergency. He also purged Mr Turabi's supporters from the machinery of government. It was the African Muslims from Darfur who were removed at this time who went on to found Jem. Jem leader Khalil Ibrahim Muhammad published The Black Book: Imbalance of Power and Wealth in the Sudan, which accuses Arabs of having a disproportionate representation at the top levels of government and administration. Although Jem and SLA come from different ideological backgrounds they have managed to co-operate in their fight against the government and the Arab militia, the Janjaweed. But they have continued to maintain separate identities and this has led to tensions. Jem still has links to Hassan al-Turabi, which is why it is accused by the government of being involved in an alleged coup plot in Khartoum, which it accuses Mr al-Turabi of masterminding.